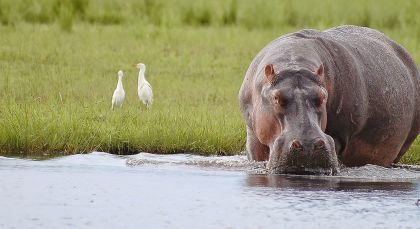 Gain a bird’s eye perspective on the highlights of Botswana. 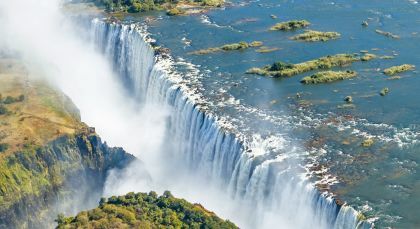 Beginning at the thundering Victoria Falls, make your way to Chobe National Park – more than 50,000 pachyderms call this home! The remote private concessions of Savuti and Linyanti offer astoundingly large herds of animals gathered at the many watering holes, far from the madding crowds. 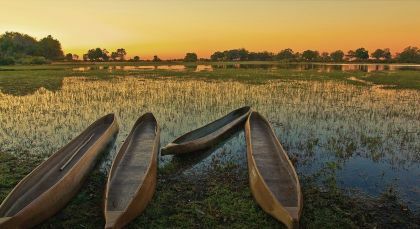 Enjoy the thrill of flying over diverse landscapes in bush planes, ending your tour with an Okavango Delta safari, where unique land and water excursions, horse rides and mokoro (canoe) trips get you up close to large predators and birds. Staying in bush camps out in the wilderness, this is your ultimate African safari. Experience exciting game drives and feel awed by the beauty of Africa on wonderful boat safaris on the majestic Chobe River. Marvel at the beautiful afternoon light and the reflection of the sun as you peacefully glide over the river while enjoying your favorite drink and observing hundreds of elephants along the shores of the river – bathing, drinking, playing and cajoling. This is one of the most memorable safari experiences you will ever have! Explore Savuti on wonderful game drives in the early morning when the animals are particularly active and in the late afternoon when the sun paints incredible colors on the horizon. You can also experience exciting night drives to discover rarely spotted nocturnal wildlife. Enjoy an incredibly diverse safari experience! 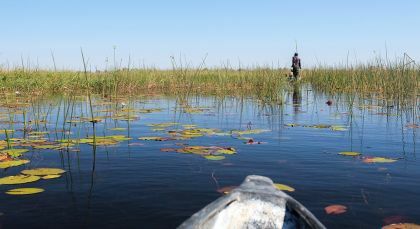 Explore the Okavango Delta on exciting game drives in the early morning when the animals are particularly active and in the late afternoon when the sun paints incredible colors on the horizon. You can also experience exciting night drives and a mokoro excursion will take you along the channels and lagoons of the Delta to view game from another perspective and to experience this tranquil mode of transport. 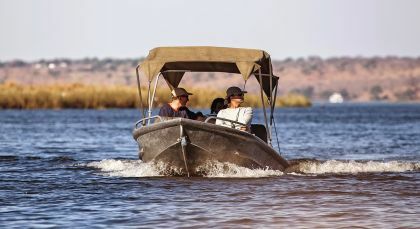 As another highlight, enjoy beautiful boat safaris which allow you to get a closer look at the aquatic animals and birds not easily approached on safari.